In a Pilates Semi-Private Session, your Instructor will design a workout utilizing Pilates Apparatus (Reformer, Tower, Chair, Jumpboard) and mat work that meets the needs of each individual in the group. Semi-Private sessions are a great way to experience the personalization of a Private Session while training with a partner(s) at a similar level at a reduced cost. Partners should be free of injuries and orthopedic issues. Private sessions are recommended before starting Semi-Private Sessions but are not required. 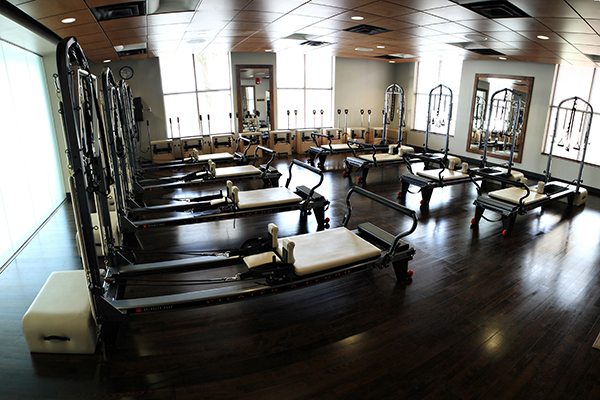 Request additional information on our Pilates Semi-Private Sessions by filling out the form below. A GHF Training Consultant will contact you to answer all your questions.